Thankfully, Lamar Odom appears to be making a complete recovery after being found unconscious at Love Ranch outside of Pahrump, Nevada. But for a time his condition was precarious and the outlook for recovery grim. Although Odom and Khloe Kardashian had filed for divorce in 2013, they had not finalized the matter and are still legally married. Furthermore, it appears that Odom had not executed a new Healthcare Power of Attorney which meant that doctors had to look to Kardashian for direction regarding his medical treatment. If they thought about it, my guess is that most people would not want their soon-to-be-ex making life and death decisions about their medical treatment. But most people don’t think about it. I meet with people all the time who are in the midst of a divorce that’s spiraling out of control. They’ve spent thousands of dollars fighting in court and are desperately looking for a way to stop the bleeding, so they come to our office for help. Mediation and Collaborative Law offer a solution to the insanity of court costs and legal fees. When I meet with these people, one of the questions I ask is, “Who holds your Healthcare Power of Attorney?” This question is often met with a blank stare. “My parents?” is a common response. “No,” is the usual answer. Healthcare Powers of Attorney are an important part of any complete Estate Plan, but Estate Plans need to be kept current, and during a divorce, interim planning is critical. But just as people put off Estate Planning, they put off interim planning as well. If your Estate Plan is out-of-date, update it now. If you don’t have an Estate Plan, get one right away, but don’t do it “on the cheap.” I recently got a sad call from the long-time companion of an elderly gentleman who’d passed. He’d used an online “trust mill” to draft an Estate Plan. His intentions were that his companion could stay in the house for the rest of her life and after she passed, everything would go to his kids. By saving money on a cheap plan, he inadvertently bypassed her and she got nothing. For Lamar Odom, things seem to have worked out okay. Others are not that lucky. If you’re going through a divorce, talk to your attorney about interim Estate Planning. If you’re going through the “divorce from hell” talk to a Mediator or Collaborative Attorney about putting an end to the madness. There are no short cuts to divorce in California, but if you’re looking for a quick and affordable divorce, The Law Collaborative can help. Through over 40 years of experience in this field, we have found that, for all the similarity between divorce cases (the courts require the same basic pleadings in every matter), there are more differences. Human nature, and the varying needs of two different parties seeking to reorganizing their lives ensures these differences. Trying to squeeze a round divorce into a square hole inadvertently but too-often raises issues which couples in crisis should not have to face. We pride ourselves on providing personalized service, designed to empower our clients and their families in taking control of their destiny. When people ask “how much will this divorce cost,” we always ask, “How much of your resources do you want to spend on it?” This is a key question. 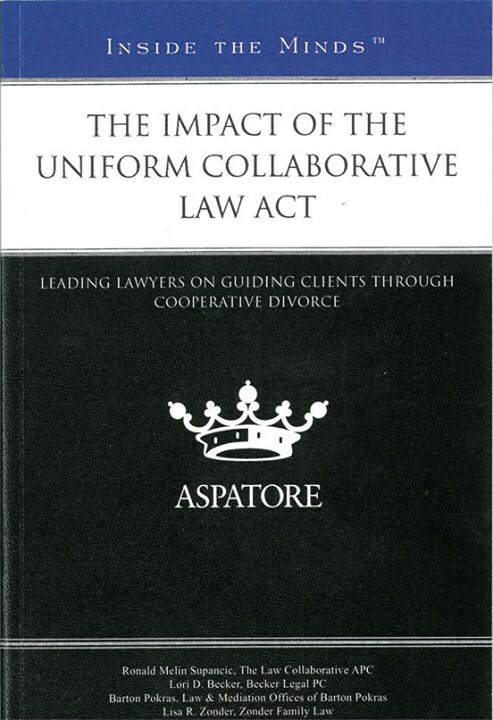 At The Law Collaborative, we unbundle our legal services. This is akin to ordering à la carte in a restaurant. If you want a lawyer to handle everything, Perry Mason style? We’re happy to do so and will quote a fee based on your individual circumstances and goals. If you need a pleading to be prepared, we will quote a fee. If you only need a document reviewed, we will quote a fee. If you use fewer services than anticipated, we refund your unused fees. Every day, with every case, we reaffirm of our firm values and the mission statement of The Law Collaborative: Bringing peace to the legal process by empowering individuals and families in taking control of their destiny by choosing their own outcome whenever possible. Like a devastating fire, divorce is usually tragic. But good can rise from the ashes. I am not a child of divorce; my parents have been married for over 50 years. But growing up, my family had two Christmas traditions: We celebrated Christmas Eve with my mother’s family because that’s what they “always” did, and we celebrated Christmas Day with my father’s family, as he had growing up. The compromise worked out to benefit all. I cherish my Christmas traditions, but the truth is they were made up. They only became traditions because we repeated them. When child custody comes up in my work with divorcing couples, this is one of my first questions: Do the parents have new family traditions they can adopt for their children going forward? Alternate custody is often the court’s solution, and seems to create a “loser” out of one parent each year. Since the couple is permanently reorganizing their family, I propose that divorcing parents consider starting new traditions. This idea can make the holidays even more joyful. These new traditions will be cherished by the children if the parents embrace them. Perhaps they’ll have to flip a coin to see who gets what, but once they start observing the new tradition, the children will never experience a year where they wish they were with the other parent during a particular holiday. Although our firm is known for peacemaking through mediation and Collaborative Law, it is important for colleagues and friends to be aware that, as experts in Family Law for over forty years, when necessary, we practice traditional cutthroat litigation. The following is an interesting story about dealing with people who consider themselves above the law. After 28 years of marriage and 12 children, Mr. X decided to leave his wife. Quietly and covertly, he began to move the in-house technology of his community property-owned business to Puerto Rico. He had decided to rebuild his business there, with much cheaper labor, and eventually leave behind his wife and the four minor children still at home. He would also leave to his wife several hundred thousand dollars in accumulated IRS debt, a rented house, and no assets. He traveled back and forth from California to Puerto Rico for several years. During his trips, he obtained a face lift and then a penile implant. Also a twenty year old girlfriend. When his wife came to me, she was devastated. She presented the whole sordid story and the sad fact that most, if not all, of the community property assets had already been moved offshore. I explained that we needed to act immediately to access the computer in the community-property owned business office in order to download all of the information regarding the moving of assets and any assets remaining. As his wife, my client had an absolute right to access the business, which was created during the marriage. She was half owner of the business and had worked in the business as its bookkeeper for many years. Over a six-week period, our team went into the office at night to access and download all of the computer information. Thus we obtained a complete record of meetings he had had with various attorneys who were advising him about offshore trusts, tax avoidance, and tax fraud. There were even letters from these attorneys, advising that he not do the illegal things he’d proposed. Yet it was clear that he had, in fact, subsequently done them. Fortunately, when we filed our papers, we had the information that we needed to make it very clear to the courts exactly what he was up to. We were able to effectively remove the business from his control, allowing my client to keep it as well as the remaining cash flow, and vast sums of cash her husband had hoarded and tucked away in a safe. Over her 20-year marriage, my client and her husband had made a very profitable living by building, staffing, and opening ice cream parlors. Then she discovered that he had been “cooking the books.” While investigating this upsetting fact, she found out something else. He was having an affair with one of their store managers. She had been hurt and betrayed on two counts. Fortunately, she came to see me before she confronted her husband about either issue. I put my client in contact with several therapists, so that she could deal with the very challenging emotional issues, and I addressed her financial dilemma. She revealed that her husband had kept two sets of books. One set recorded actual profits, and proved that the business was quite successful. The other set of books told an entirely different story. This was the set he had shared with the IRS. I explained that thorough copies of those handwritten books had to be made, and quickly, because if the IRS were to declare an audit, those records would disappear. We used a team of investigators with portable copy machines, and the process took over six months. All of the books from each store were successfully copied, proving that each store made huge profits. Then we filed for the divorce, and served her husband. I explained that I knew something he didn’t know. I knew that his client kept two sets of books. P.S. We’ve been giving free divorce workshops twice a month in an effort to give back to the community and have had tremendous feedback. Feel free to respond to this email if you’d like more info about our free workshops. This page took 0.421 seconds of computer labor to produce.